So finally, Pakistan Super League 2017 draft has been all set and you have a full list of players who are going to play in this grand Twenty20 event which is going to held in UAE. There are lots of new players are joining Pakistan Super League 2017 such as Brendon McCullum, Eoin Morgan and Kieron Pollard. Captains of teams are same as they were before. There are some team player replacements such as Chris Gayle is now going to play from Karachi Kings, Kevin Pietersen is going to play from Lahore Qalandars. PCD has also announced Pakistan Super League 2017 Schedule and Fixture for this event now. 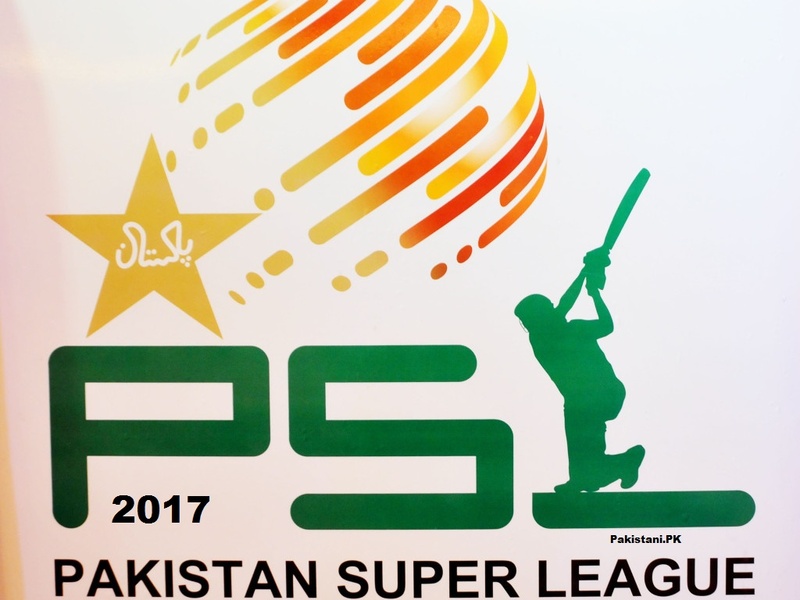 In this post, we are going to share a complete detail of Pakistan Super League 2017 schedule and fixtures with matches dates and team names. We will keep you updated with every bit of Pakistan Super League 2017. PSL 2017 is going to start from 4th February 2017 and it will be held for 21 days with 24 matches. This is the current updated list of Pakistan Super League 2017 Schedule, These matches will be played in two cricket grounds Dubai International Cricket Stadium and Sharjah Cricket Association Stadium in UAE. These both cricket stadiums are listed as world class cricket stadium. Both stadiums are used for multiple sports and have more than 25,000 spectators seating capacity which is also expandable to 30,000. This is the only updated Pakistan Super League 2017 Schedule and Fixture which is announced by Pakistan Cricket Board. We will keep you updated with the latest news of PSL 2017 such as point tables and rankings, we will also provide the streaming of every match in Ultra high Quality when the event will be started. So stay tuned and bookmark this page for further updates about Pakistan Super League 2017.
our pleasure to final match in to lahore. It’s good to have final in Lahore but why not in Karachi? Funny thing is attack was held in Lahore on Siri Lanka’s team still no one thinks about Karachi! I am super excited for PSL 2017 and Lahore Will win PSL session 2 Inshallah. I will be watching PSL final In Lahore. Any idea about PSL final tickets??? yes. please check the page for further info. mention them you came from Pakistani.pk for discounts. Why not pick salman & asif in psl 2017..
inshallah lahore win 🙂 good luck lahore . The tournament really gonna amazing. Thanks for sharing the schedule of PSL 2017. # Karachi # Karachi # Karachi…. do you think about Sindhi cricketer why PCB did not give a chance to Sindhi people have any problem with them .in a history of PCB there is no Sindhi WHY…? Happy to know finally cricket back to home. I agree with Muhammad Farooq. Quetta Gladiators will win INSHAALLAH. Where is multan sultans? Wo ni khel rhe h?